Back in 2014, Google made the announcement that HTTPS was officially a ranking factor for Google search. That one little decision took HTTPS from “thing that only eCommerce stores need to worry about” to “something every WordPress user should implement if they want to maximize their search rankings”. But as important as it is, WordPress HTTPS is, thankfully, also surprisingly easy to implement. Here’s how to add WordPress HTTPS to your website. In this post, I’m going to show you exactly how to add HTTPS to WordPress using a live production site. I’ll cover everything from implementing HTTPS on your WordPress site to updating Google Analytics and the Google Search Console. We’ve already discussed some sources for cheap WordPress SSL certificates, so you might want to take a quick detour there if you’re not sure where to get started. Because SSL certificates are what get you the HTTPS connection for your WordPress site, the two terms will be used interchangeably in this article. If you’re using shared hosting, the easiest SSL certificate for you to implement is Let’s Encrypt. As Sufyan discussed, Let’s Encrypt certificates have the advantage of being both free and widely supported by hosting providers. 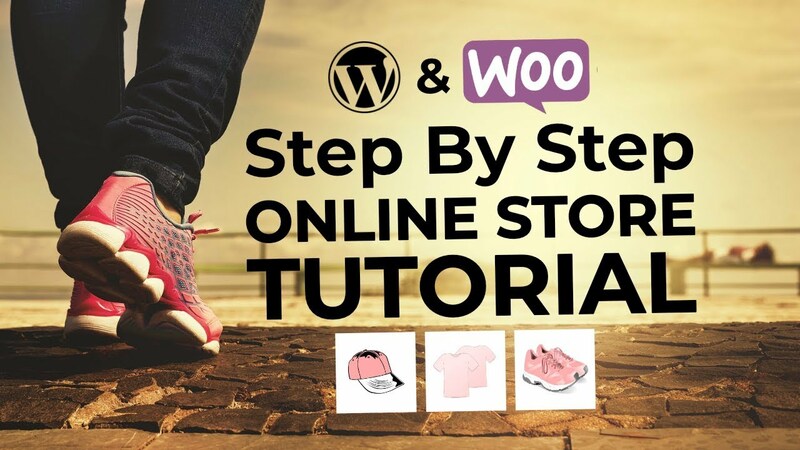 That second point is essential, because unless you’re hosting your WordPress site on a dedicated server, you’ll need your host’s support to install an SSL certificate. So, to get your Let’s Encrypt SSL certificate installed, I recommend you contact your host’s support or consult their knowledge base. Unfortunately, I can’t give you exact instructions because the specific process will vary depending on your host. 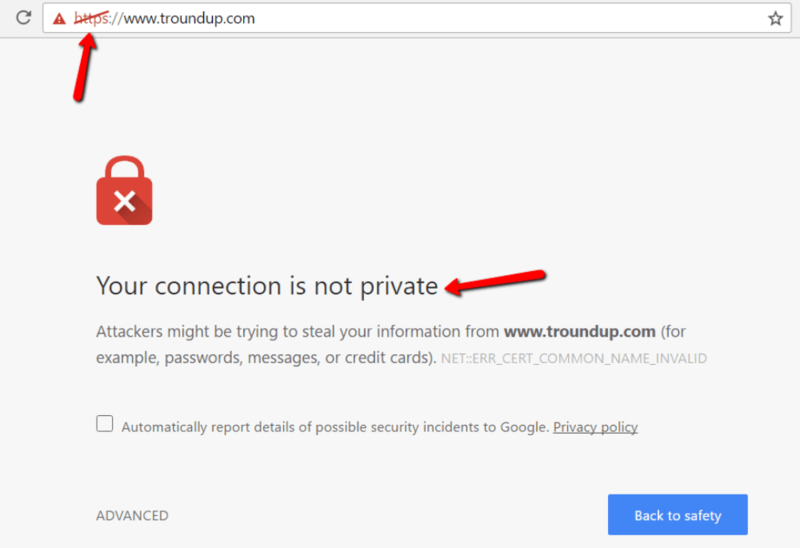 Google is telling you that the SSL certificate is active, but the connection still isn’t 100% private due to some issues we’ll fix in the next step. Remember how I said you need to fix some issues to make your SSL certificate function properly? The Really Simple SSL plugin is the easiest way to do that. Google gives that “connection is private BUT” warning because your WordPress site still includes images or other media which are inserted using the regular http:// URL, rather than your new https:// URL. To fix the issue, you need to go back and update every single image link to https://. 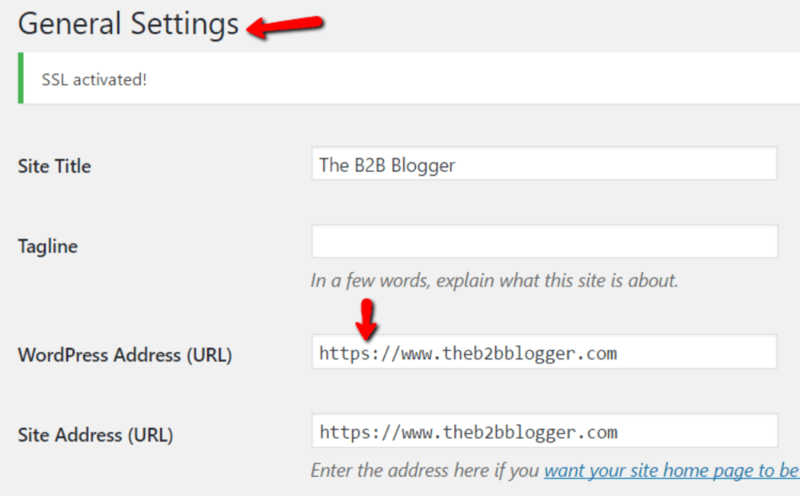 It updates the URL for your site to HTTPS in the WordPress settings. It adds a 301 redirect to send all human and search engine traffic to the HTTPS versions of your pages. This is essential to avoid a potential duplicate content penalty in Google. To handle all of this, install and activate Really Simple SSL. Click Go ahead, activate SSL! After clicking the button, you’ll likely get signed out of your dashboard and be asked to sign in again. Don’t worry – this is a natural consequence of changing your WordPress URL from HTTP to HTTPS. Just sign in again with your normal username/password. First, make sure that if you enter your URL as http://yourdomain.com, it automatically redirects you to https://yourdomain.com. 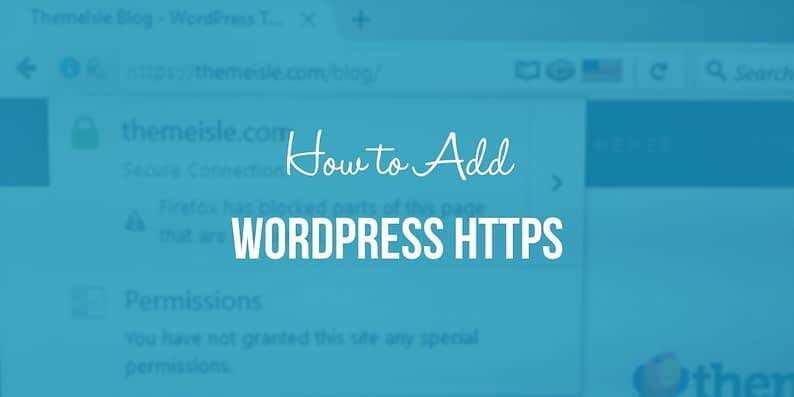 That’s all you need to do to add WordPress HTTPS! But, you still need to take care of a couple housekeeping issues if you’re using Google Analytics, a CDN, and/or Google Search Console. Make sure to save your settings. The tracking code you added to your WordPress site will stay exactly the same, so you don’t need to update anything beyond this page. Notice how I have two versions for my portfolio site? That’s because I recently switched it to HTTPS. Once you’ve added the HTTPS version of your site, everything about Search Console will function just like before. 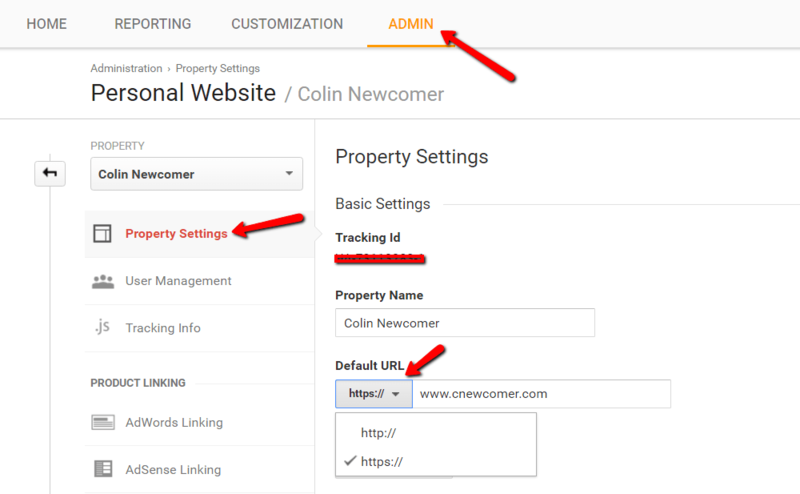 If you’re using a CDN (content delivery network), you’ll likely need to update your URL in your CDN settings as well. Because the exact process will depend on the specific CDN you’re using, I can’t give you specific instructions. You should contact your CDN or review your CDN’s support documents to determine if/how you can update your URL to HTTPS. If you have no idea what a CDN is, you can totally ignore this step! If you link to your WordPress site from any social media profiles or other external sites, you should update all of these links to point to the HTTPS version of your site. You can also email any friendly webmasters who link to you and ask them to update the URL to your site. This isn’t an absolute necessity because the Really Simple SSL plugin added 301 redirects to automatically send HTTP traffic to HTTPS. But, it is a best practice, and eliminates the need for redirects. Will switching to WordPress HTTPS cause a temporary rankings dip? Google has been pretty clear that SSL is a positive ranking factor. But, some people are worried that the actual process of switching to WordPress HTTPS might cause a temporary rankings dip. I only recently decided to add WordPress HTTPS for my site, so I can’t say whether it will affect organic rankings from firsthand experience (Google hasn’t re-crawled my site yet). But I have read quite a bit about the subject and the general consensus seems to be that there is no significant temporary rankings dip. As far as URL changes go, this is a pretty minor one, and one that Google can easily understand. If you have any further questions about how to add WordPress HTTPS, let me know in the comments, and I’ll try to help!